The classic gambling DVD Richard Turner’s “The Cheat” Special Edition has been re-mastered for a clearer picture and now has a MENU for easy use. You can go right to the gambling moves that interest you the most and view them over and over again. 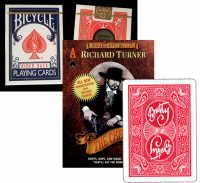 “Richard Turner has achieved legendary status in the world of card magicians. 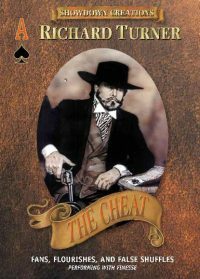 However, Richard Turner is not a magician nor does he claim to be one—he demonstrates card cheating. 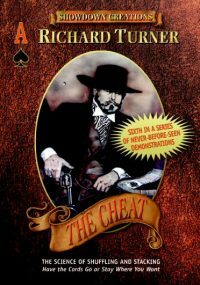 This single DVD is a re-release of his 1990 double-VHS set of the same title with the addition of a 13-minute biography. 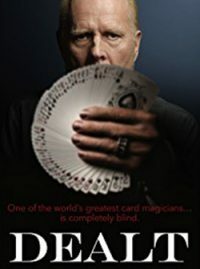 This is strictly a performance and demonstration video with the stated purpose of “protecting yourself at the card table.” While Mr. Turner clearly demonstrates the techniques at his command, in no way does he teach the details and finesse that gives him that considerable command. Of course it is the demonstration segments that are the meat and potatoes of this production. He demonstrates many each of the following: false shuffles including Overhand and Riffle technique and a Tabled Faro-Strip-Out. On top of that, he demonstrates a One-Handed Strip-Out False Shuffle. Next he delves into “nullifying the cut” using Shifts, Hops, Partial Shifts, and Crimps. Demonstrations of Palming, Riffle Shuffle Stacking and Run-Ups Using Tabled Faros, Switches, and Peeks lead up to the False Deals. These include many variations on Seconds, Thirds and Fourth Deals; Bottoms and Centers. 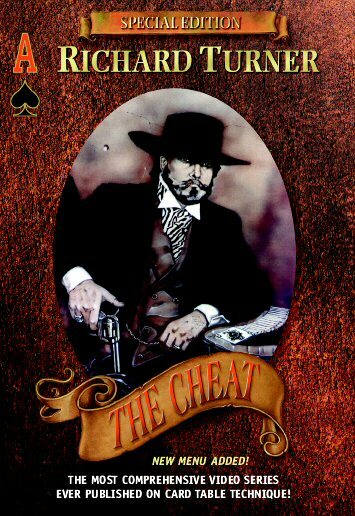 Watch a preview of The Cheat.